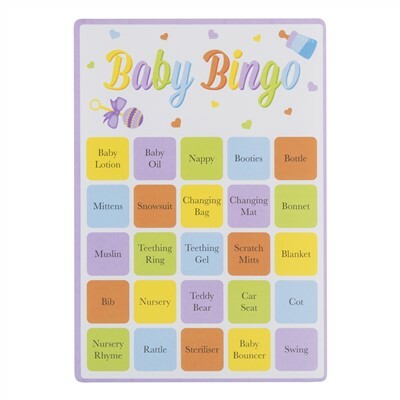 Start your baby shower with this fantastic game of baby bingo, each pack contains 15 cards for 15 players. Simply cut out the calling cards and place into a bowl and pick one out one by one, the first person to mark a whole line on their card is the winner. Contains: 15 player cards, 1 set of calling cards and instructions.